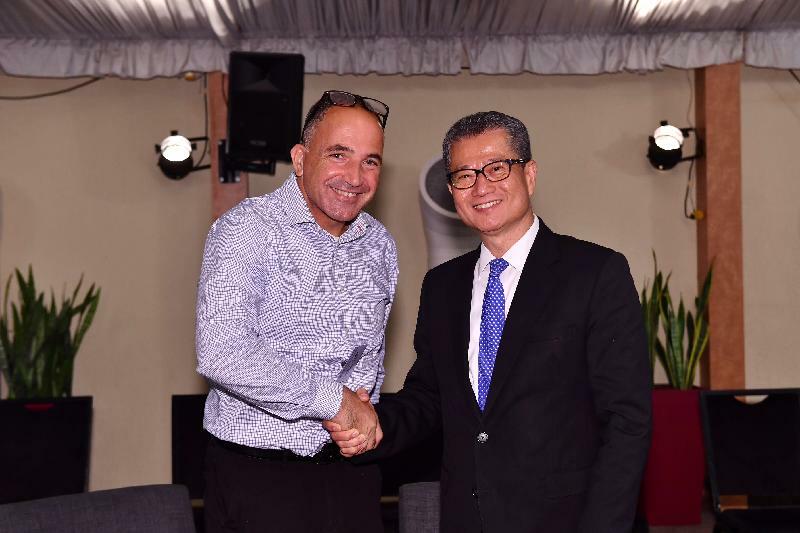 The Financial Secretary, Mr Paul Chan, arrived in Tel Aviv on September 3 (Israel time) to start his first official visit to Israel to forge closer economic and innovation and technology (I&T) co-operation between Israel and Hong Kong. Joined by the Secretary for Financial Services and the Treasury, Mr James Lau, and the Director-General of Investment Promotion, Mr Stephen Phillips, Mr Chan first called on the Chairman of the Israel Innovation Authority and Chief Scientist of the Ministry of Economy and Industry, Dr Ami Appelbaum, to keep himself abreast of the latest developments of I&T of Israel. 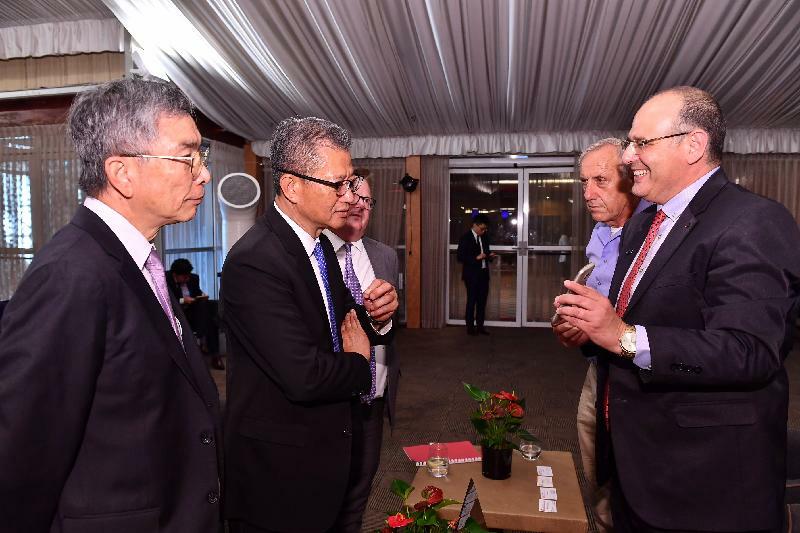 Noting that Israel is a leading global hub for cutting-edge and innovative technologies, Mr Chan remarked that Hong Kong can draw valuable lessons from Israel’s successful experience on various fronts, such as Fintech, biotech and biomedicine. Mr Chan and members of the Hong Kong business mission then attended a briefing by Dr Appelbaum on the business environment and opportunities in Israel. 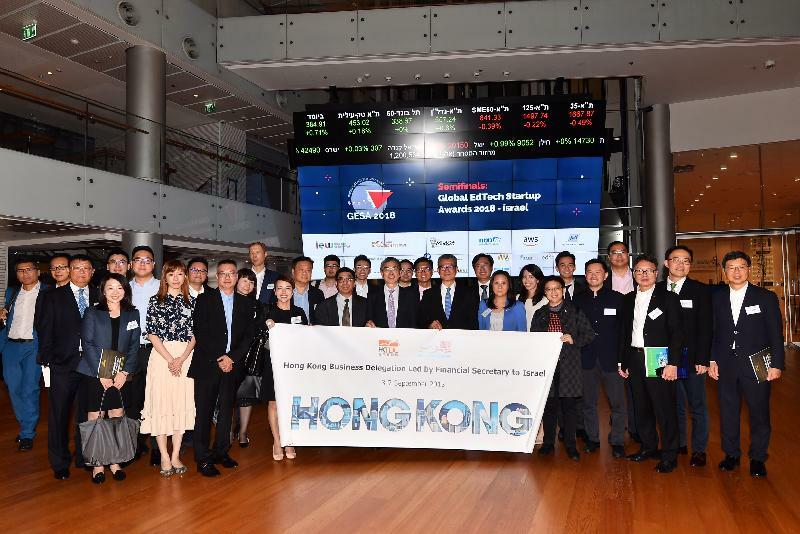 Several Israeli I&T companies supported by Hong Kong investment funds also shared their experience. Addressing at a luncheon co-organised by the Hong Kong Special Administrative Government and the Hong Kong Trade Development Council, Mr Chan said "Hong Kong is actively embracing I&T as the new impetus for economic growth. I see much potential for Israeli tech entrepreneurs and talent to partner with Hong Kong in developing high-tech solutions. We also welcome Israeli innovative companies to make use of our world-class financial platform to raise fund." 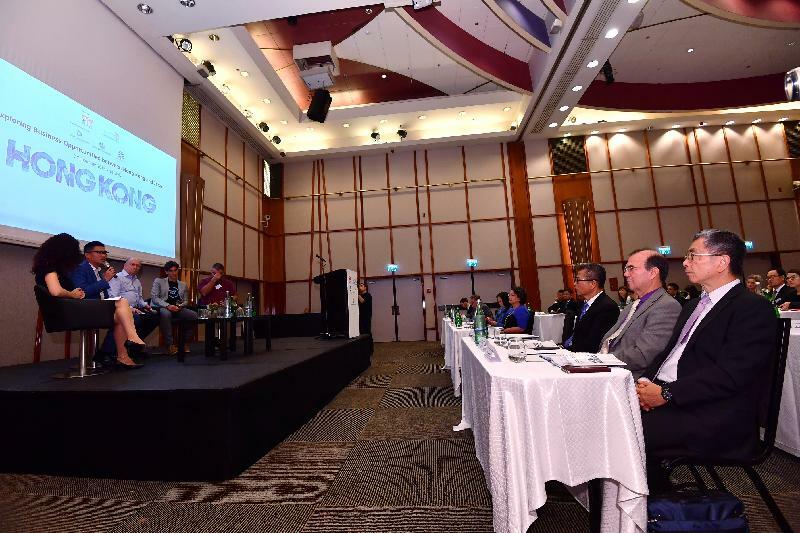 "We are developing Hong Kong into the preferred listing platform for emerging and innovative enterprises. The Hong Kong Stock Exchange introduced in April this year a new listing regime which allows pre-revenue biotech companies and companies with weighted voting right structures to list on the Main Board." He added. In the afternoon, Mr Chan first met with Mr Benjamin Soffer, Head of Technion Technology Transfer office of AMIT. The office mainly supports and promotes the commercialisation of biomedical innovation of Technion - Israel Institute of Technology. Mr Chan pointed out that $10 billion has been earmarked in this year’s government budget to support the establishment of the two research clusters on healthcare technologies and on artificial intelligence and robotics technologies. He welcomed AMIT and other top scientific research institutions from around the world to set up operations in Hong Kong. After meeting representatives of a few Israeli I&T companies, Mr Chan visited the innovation centre of the Tel Aviv Stock Exchange and the Floor, a Fintech platform, to gain first-hand information on the latest developments in Fintech and cybersecurity in Israel. 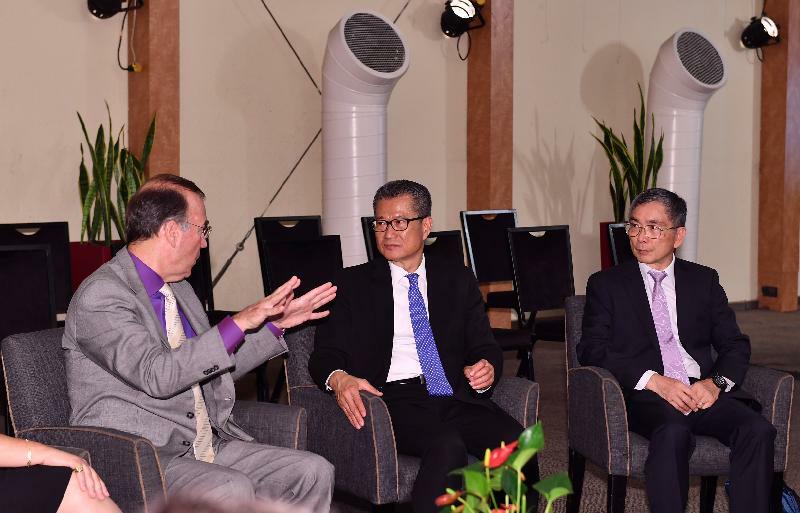 He was pleased to note that the centre has already expanded their business in Hong Kong. Today (September 4, Israel time), Mr Chan will continue his visit in Israel.